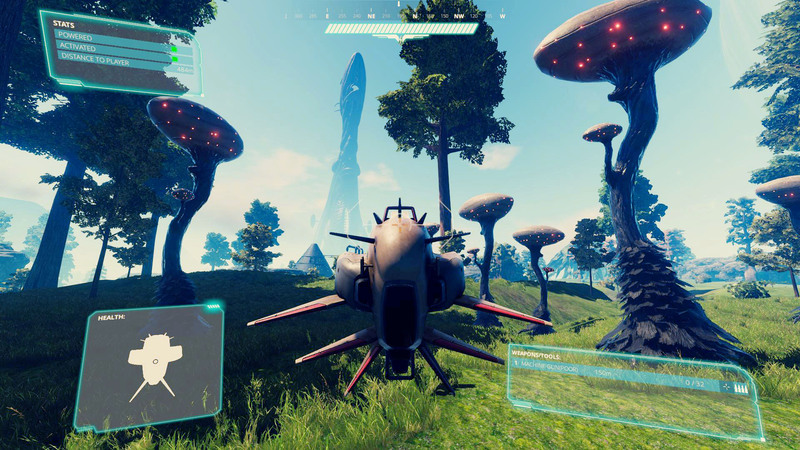 Unity update, a lot of new content and much progress! We finally got the long awaited Unity 2017.2 update. This includes a crucial fix BUT came with a whole lot of other issues. We´ve already spent a few days fixing these. Julian has started implementing freezing, scoping, idling and priority calculation into the Pantropy multipalyer system. This will boost the networking performance and allow us to have many more players. 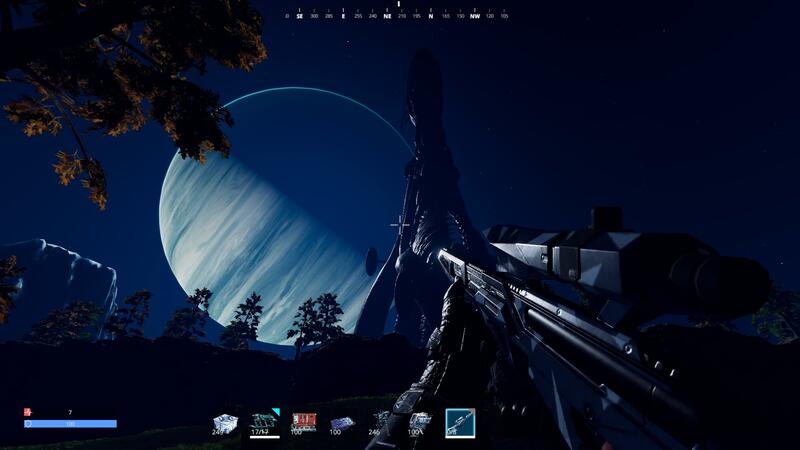 128 player per server is the goal! 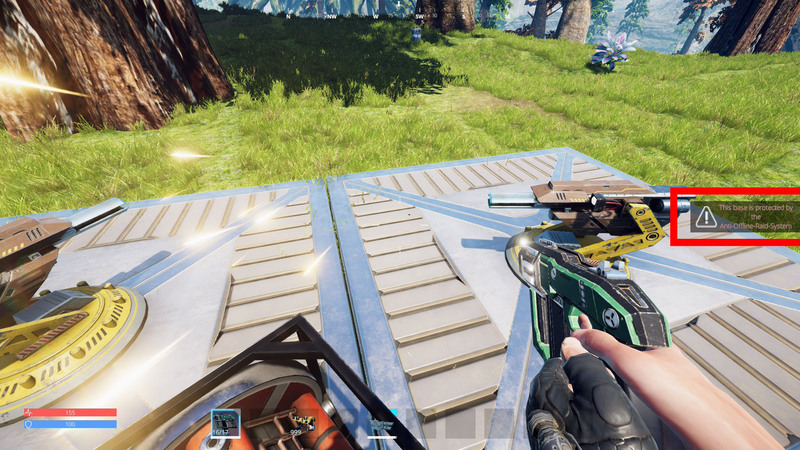 We have also polished the weapon system and brought back the assault rifle, pistol, sniper rifle, rocket launcher and railgun. The networking of the bullets still cause a few issues, but we hope to get these solved within the next couple of days. 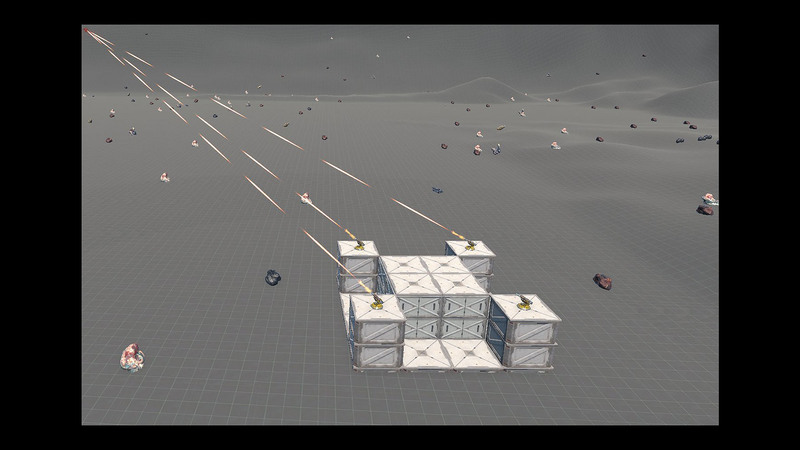 Player turrets are also a thing again! You can craft these and place them on your base. 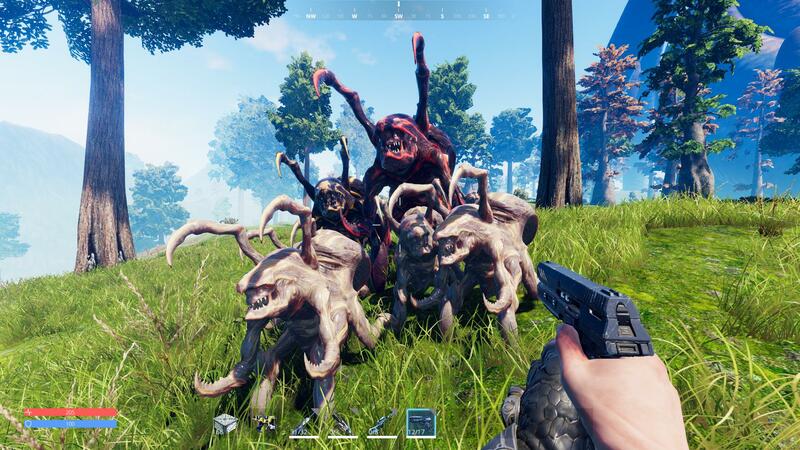 They will attack players from the opposite faction, AI faction mobs and hostile creatures. Lootcrates are also back! You can find data sets and useful items. 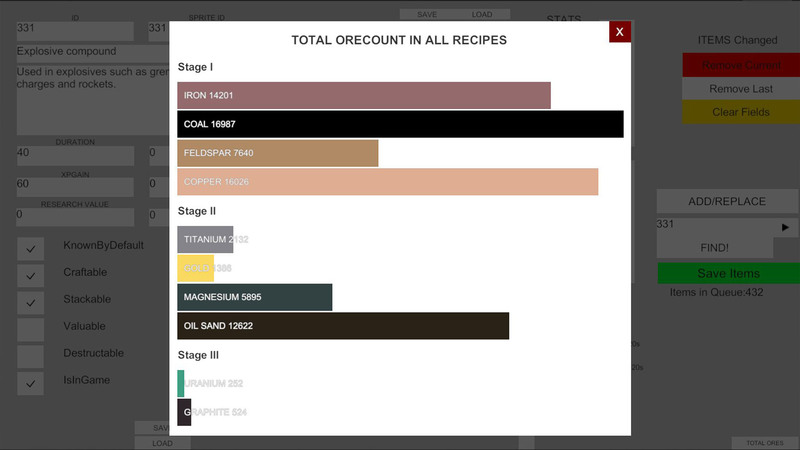 Julian has written a nice tool that allows us to calculate the ratio of ores that we should scatter on the map based on the crafting recipes that are ingame. 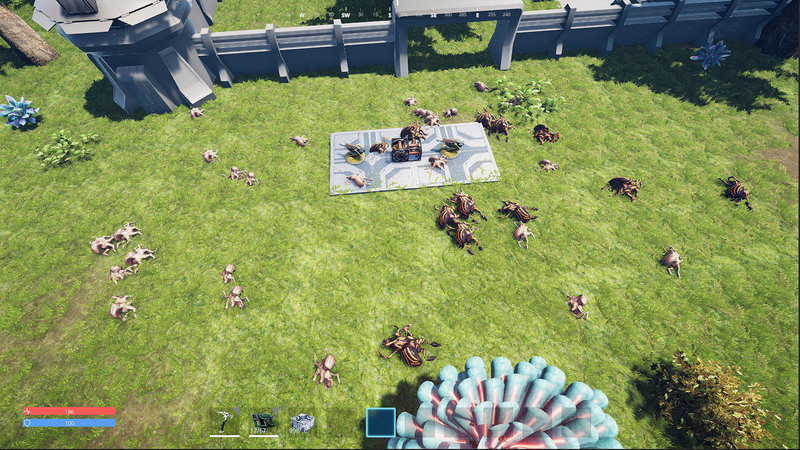 Oh and drones are back! 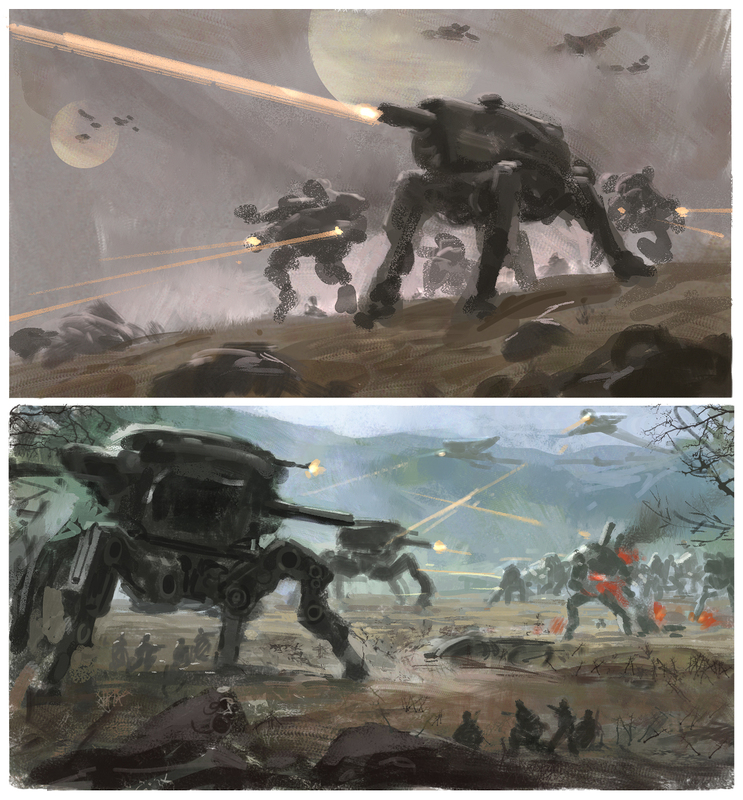 They use the same system as the mechs. You can equip upgrades, armor and different weapons. 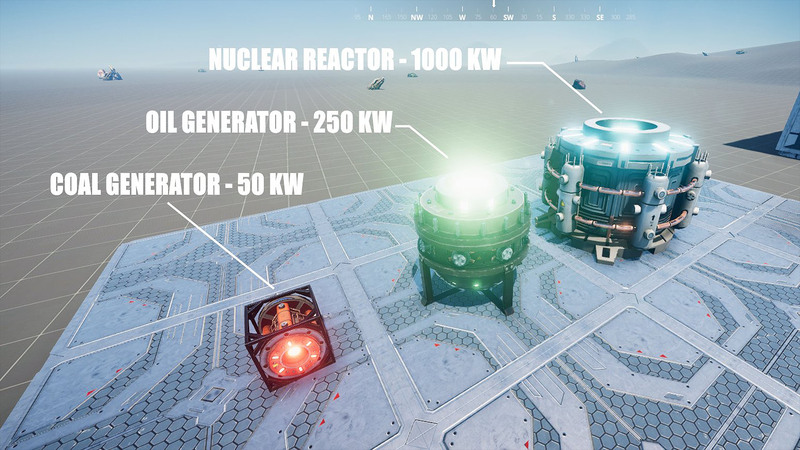 Nuclear reactor and the oil generator are back aswell. The day and night cylce is working again too! 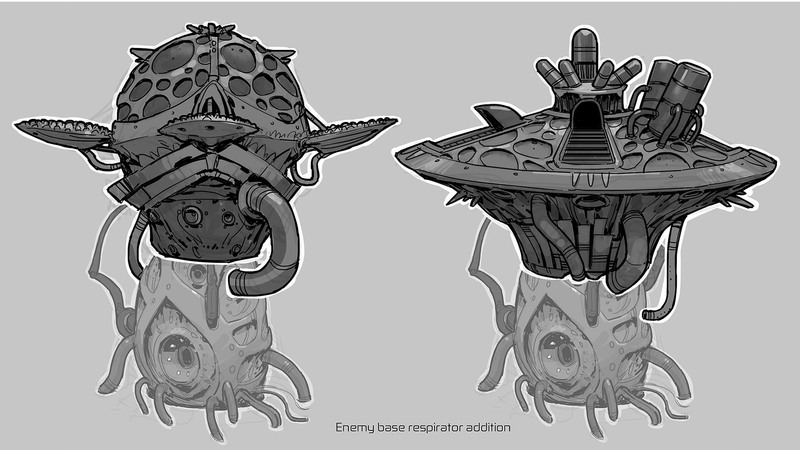 Tyson has finished more artwork for the enemy faction bases. 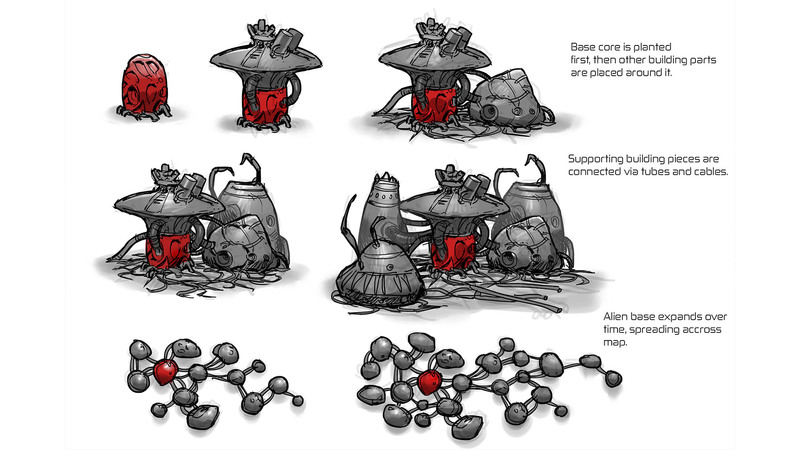 Enemy bases grow over time and become more difficult to raid. Loot will become more valuable though. 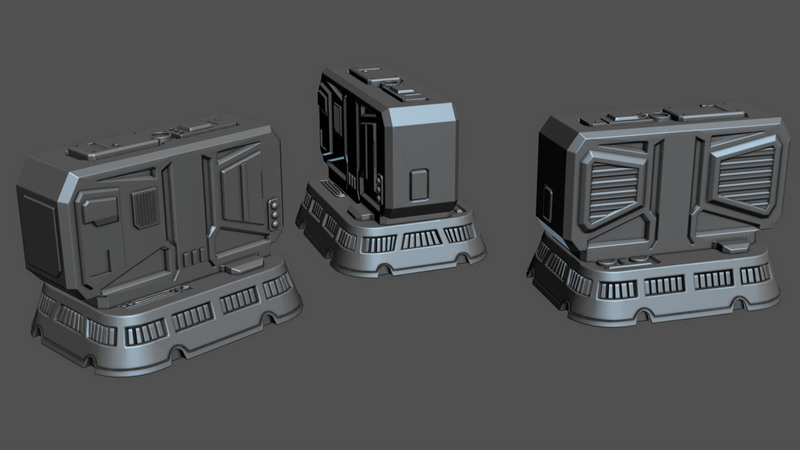 We´re going to replace the remote charge placeholder with a proper model. Tyson has made a few designs. Tyson also worked on a few scenes for the Kickstarter. 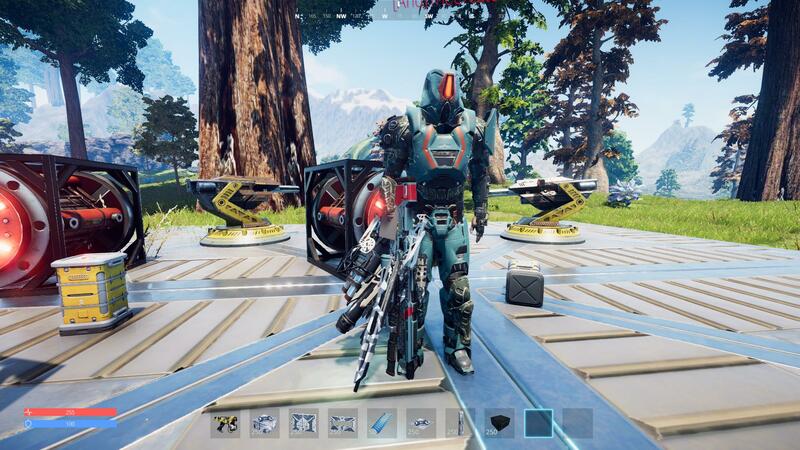 Alex has finished the new T3 mech. 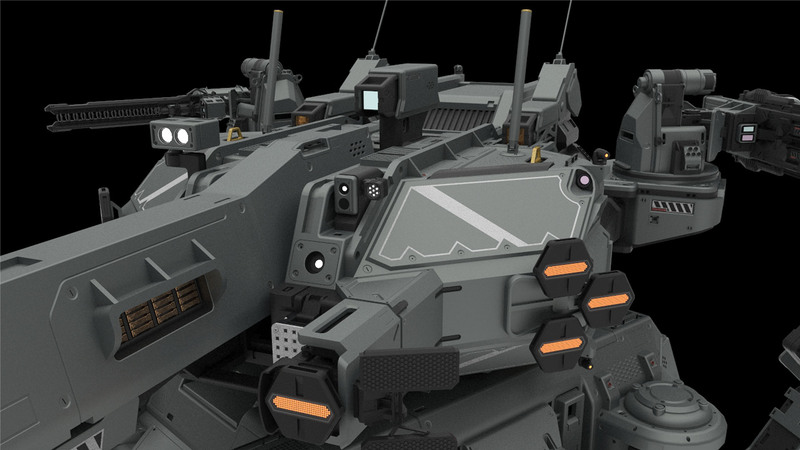 At least the high-poly model of it. 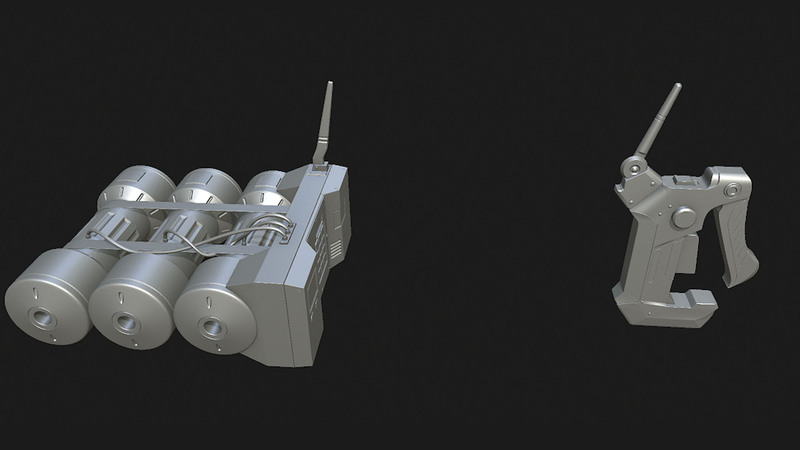 He´s also done with the gatling gun and mining laser. Osman is working on the energy storage model. It´s still very basic. 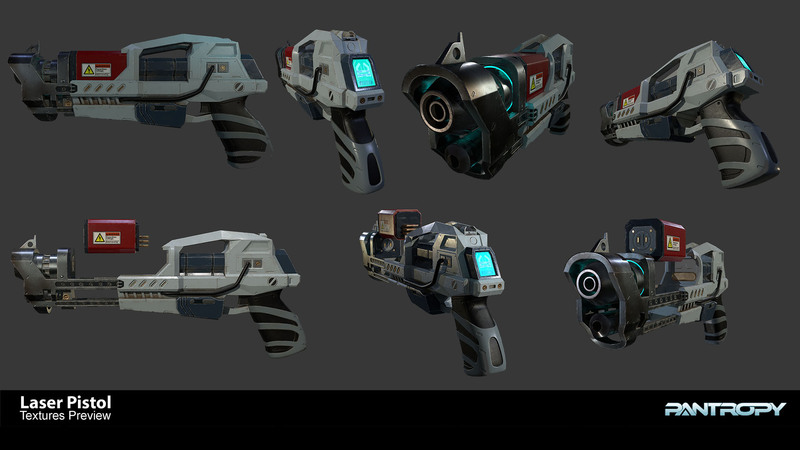 Anjar has finished texturing the laser pistol. He has made a nice video of the progress. 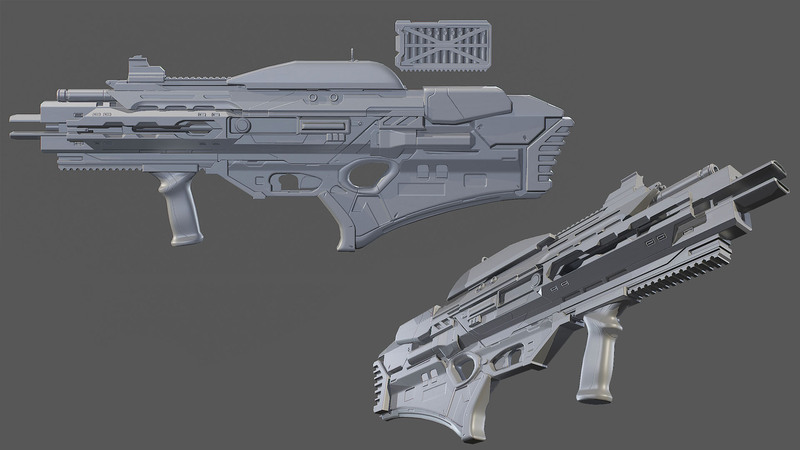 He also finished baking the plasma assault rifle and will soon start texturing it. 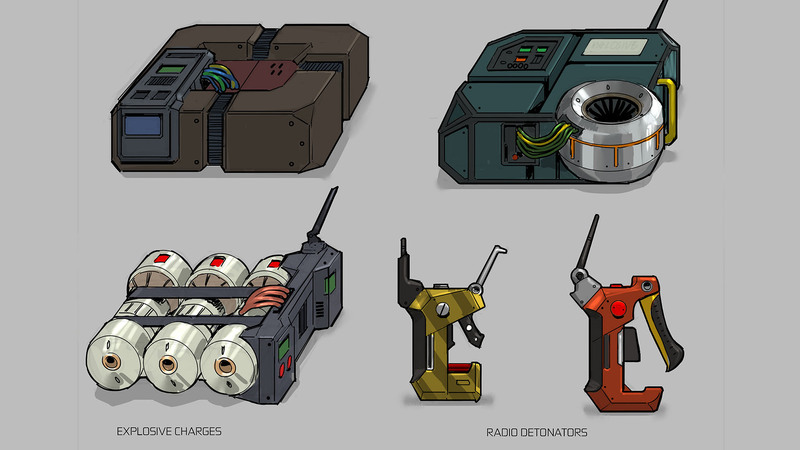 Artem has started working on the remote charges. 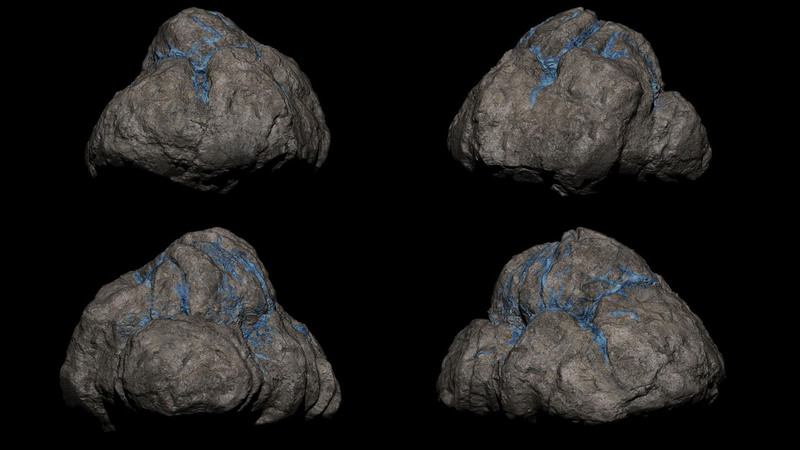 Dmitry is busy working on some additional ore rocks. 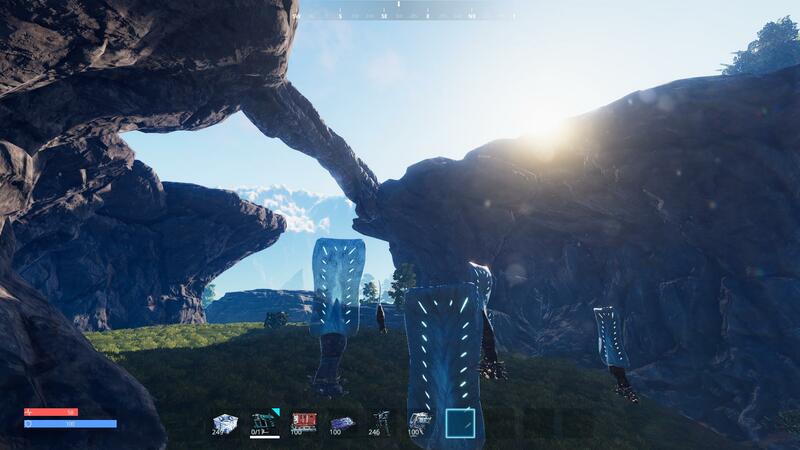 I´ve been busy evaluating new level design tools, adding more rocks to the map, brining back water and fixing a few visual issues. 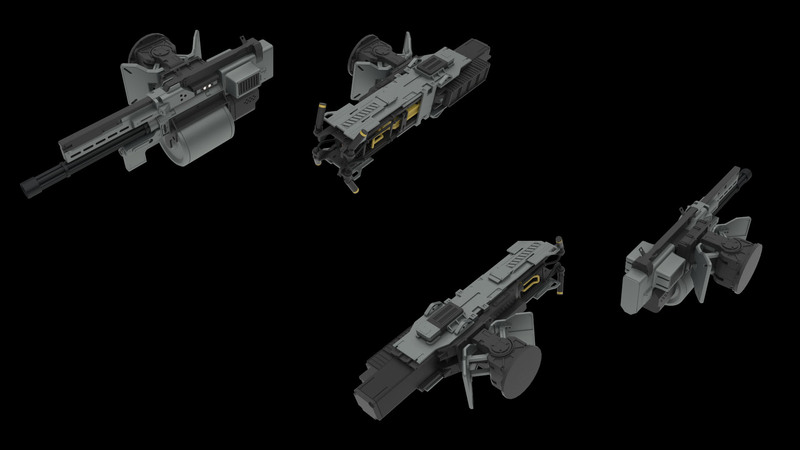 Mmm, that T3 looks amazing! 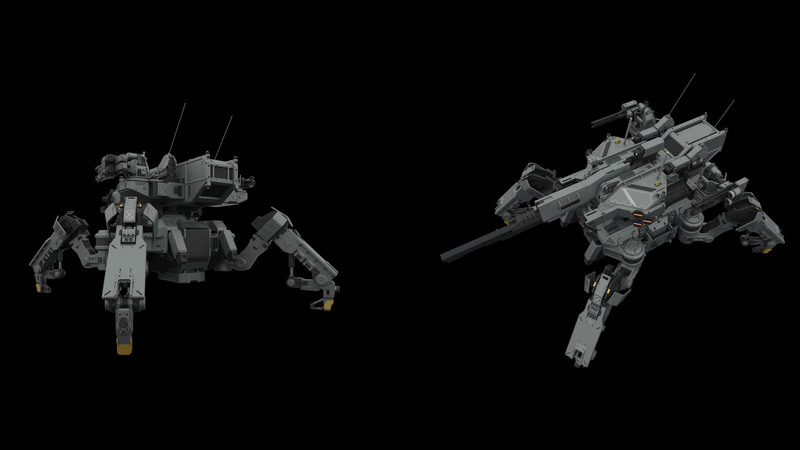 Love mechs and all variants of them. kickstarter?? LET ME GIVE YOU MONEY!! !